I sold this to a friend in March 2008, and have included this article here for reference (first published on one of my other websites). 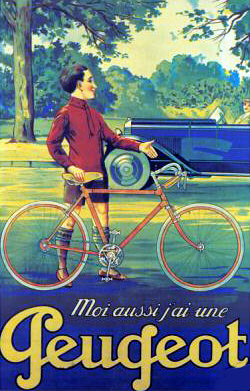 This is a 1923 la Cyclette, a French engine attachment fitted to a 1919 Peugeot cycle. It was restored by a friend in France. It is so rare that I haven’t found any information about it on the internet. 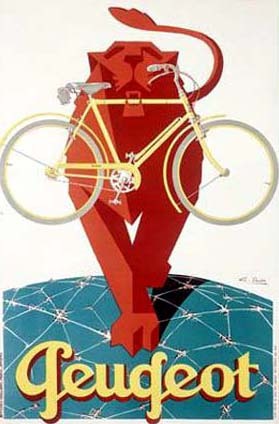 I do like the famous ‘Lion of Peugeot,’ which is generally to be found somewhere on old Peuegot machines. I visited the VMCC library on my way back from the VMCC Founders Day autojumble (2007) to do some research, but I couldn’t find anything about la Cyclette there either. Beaulieu Autojumble did not turn up anything either. 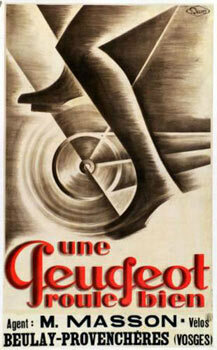 However, by a remarkable co-incidence, I bought a 1950’s French cyclemotor magazine. 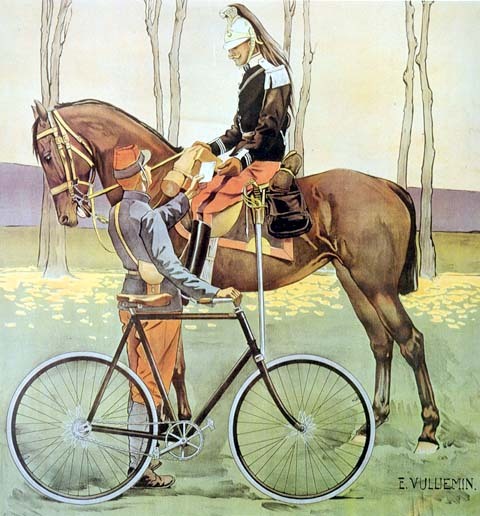 When I got back home, it had arrived in the post and I opened it …what should I find inside, in a historic review of French moteurs auxiliaires, but an advert for la Cyclette! 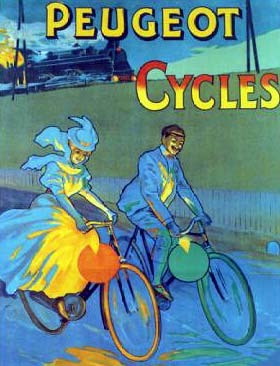 You could have knocked me over with a feather when I discovered another la Cyclette for sale! Of course, I bought it – because it has the correct petrol tank. And it will be useful for spares.